The Ministry of Public Administration and Management has in a circular increased tax concessions for State officials, Provincial officials and Courts officials when importing vehicles. Earlier, these officials were allowed to import vehicles under three categories. Under the first category, they were allowed to import a vehicle valued at a maximum of US$45,000. Under the second and the third categories, officials have been allowed to import vehicles with a maximum value of US$40,000 and US$35,000 respectively. However, under the 2018 Budget, separate tax concessions were granted to the three categories. Accordingly, tax concessions of Rs.9 million, Rs.7.5 million and Rs.6 million were granted when importing a vehicle under the three categories respectively. This budget proposal was never implemented. Against this backdrop, the latest circular was issued by the Public Administration Ministry following discussions with the state officials. After obtaining Treasury consent, the amount of tax concessions recommended by the Budget proposal had been increased. In 2015 we elected this Government to cut expenditure and government waste .... elected officials did not get the message or the way it was incorrectly interpreted as ....people have elected us and given a green signal to rob public funds and allow huge tax concessions to ourselves. At these massive tax breaks ...... we might as well buy them their dream car. Since the permits are automatically sold, these millions are easy money. See how the politicos and officials fleece the foolish public. It our money you are giving away for your populist politics. Shame shame shame, there is no hope for the common man in this country. They get huge cars, we get 3 Rs reduced from a kilo of samba. 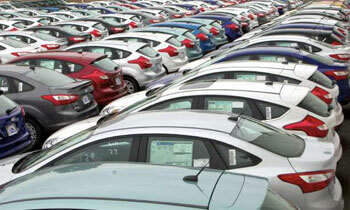 Vehicle importers get ready to rumble. These are NOT tax payers. NO concessions for businessmen who pay taxes.. Govt officials take home a paycheque without paying taxes. Businessmen are taxed in every form n then have to import a vehicle paying maximim duty..how is this fair? The Govt.has started again the serving its peers at a time when tabs for school children has been stopped. After LG Election?? People are suffering for day today needs!! Private sector is completely ignored and we will again see during presidential election. I really dont know where are these guys going to bring this country? Bunch of lawyers who became politicians, without having any knowledge about business, economics and finance, taking the decisions of the countries development and economy. This has happened before as well as its continuing further. Can we make a country like this even closer to Singapore standard? This is ridiculous indeed.What about the private sector employees who are contributing to the countries coffers so much?Really, we need some intelligent people to govern this country. what about the majority of PRIVATE SECTOR EMPLOYEES who are more productive than this so called govt. employees ! !